Your journey begins and ends in Nairobi. 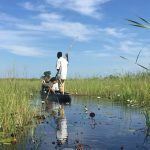 The duration of the trip is ten days fully packed with a wide variety of activities that includes, bush walks, hiking, biking, boating and game drives to observe the wildlife. First off, head out to your first destination, Crescent Island on Lake Naivasha by boat and meet along the way many hippopotamuses. Once on the Island, explore a private game sanctuary through a walking safari, where encounters with zebras, giraffes, wildebeests and more than 400 bird species are within your reach. Your adventure continues with a photographic safari in Lake Nakuru National Park. So, don’t forget to pack your camera! 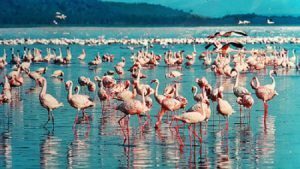 The Lake Nakuru is the refuge for millions of flamingos and a sanctuary for the endangered species, the black and white rhinoceros. 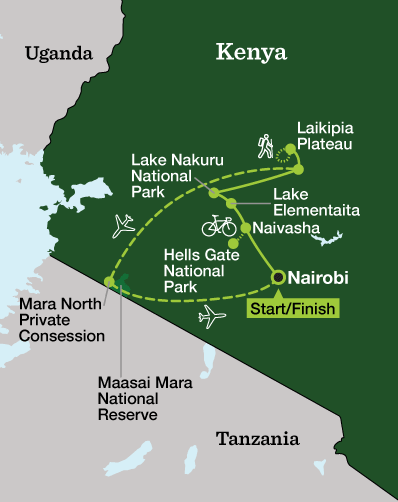 Then, it’s time to embark on your bike and try out the dirt tracks of the Hell’s Gate National Park. Don’t forget to take a break every once in a while, to enjoy your surroundings and observe the geothermal geysers present all around the park. Your next destination is the Laikipia Plateau, located between Mount Kenya and the Great Rift Valley. Get ready for four days of hiking throughout breathtaking scenery that includes Acadia bushlands and open grasslands. Keep your eyes peeled for wildlife sightings that include the giraffes, the zebras, and the elephants while crisscrossing the majestic Laikipia plateau! Finally, your last stop is the Maasai Mara Reserve where game drives await you! The Mara Reserve is well known for being the siege of the Wildebeest migration and offers close-up encounters with the wildebeests, the Cape buffalos, the zebras, the giraffes, the lions and the hyenas only to name a few! That’s what I called finishing on a high note! Who Can Go on this Kenyan Safari? The activity level for Kenya Active Safari is 2, also referred to as easy active. 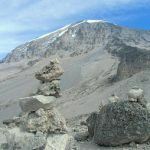 This safari adventure involves four days of walking at an altitude of 5,000 ft, where you will hike for about 2-5 hours (4-8 miles) each day. So, the Kenya Active Safari as the name implies is for fit adventurers. You need to be in shape and good health before booking this trip. Having the soul of an adventurer might not be enough here, you need to be physically fit as well! Fees for national parks and reserve. All the meals (except for dinner on day 1 and the lunch on day 10). All the sporting activities and wildlife sightseeing. When Is It the Best Time to Go? The Kenya Active Safari enables you to combine many sporting activities with wildlife sightings. The best time to go in my opinion is during the Wildebeest migration, and more specifically during the months of August and September. 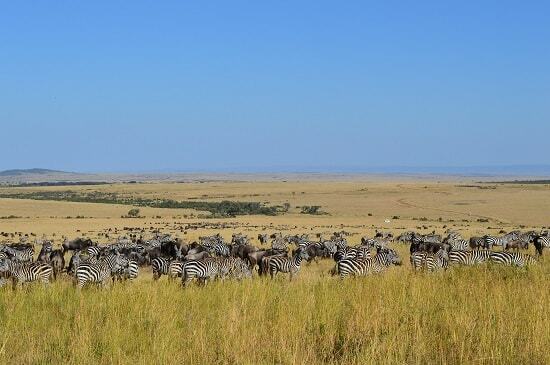 This period of the year coincides with the arrival of more than 2 million animals into the Maasai Mara Reserve! This safari package is a high-end package. You will stay in hotels, deluxe camps, and luxurious camping tents. Also included in this package are all the amenities, toilet, private outdoor shower, and electricity. REI Adventures offers a Co-op membership, which is a lifetime membership! The cost is very cheap, one-time fee of $20 US! By becoming a member, you can save a bundle not only when booking your trip such as the Kenya Active Safari but also when shopping at REI Adventures, where you could get everything you need for your adventure travel! Of course, if you are a solo traveler, REI Adventures offer the possibility of sharing accommodation with a same-gender person. However, if you rather not share a room, you can get a single accommodation. Keep in mind that you will be charged a “single supplement fee.” On the other hand, if REI Adventures are unable to find you a same gender roommate, you will get private accommodations at no extra charge. As for the single supplement fee, the prices are subject to change without any notice. You should visit REI Adventures to learn more. 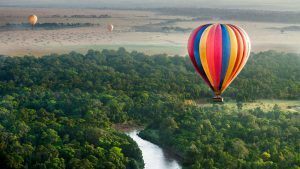 If you are planning on going on the Kenya Active Safari during the Wildebeest migration, you should consider booking the Maasai Mara Balloon Flight to observe the Great Migration from a bird’s eye perspective! Bear in mind that this is an optional activity. Thus, additional costs apply. 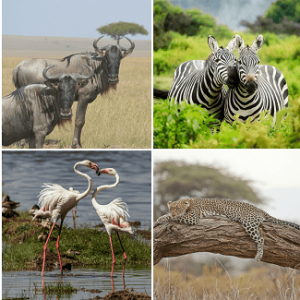 Adventures, Wildlife, and Kenya Await You! The Kenya Active Safari is a deluxe safari package where you get to experience the African wilderness as part of a small group setting. What more can you ask for? If you are an avid adventure seeker, I highly recommend that you book the Kenya Active Safari since this trip was made with you in mind! You get to enjoy a wide range of sporting activities while catching a glimpse of a vast array of wildlife! If you have any inquiries about the Kenya Active Safari package, please leave a comment below. I will get back to you ASAP. Africa is a stunning, exotic destination and a must-see for any active adventurer. Thanks for the informative post. 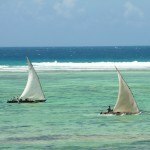 Thanks, I think that there are many places in East Africa worth visiting. You can go to the Dark Continent for many months, and still only have seen a tiny portion of what is out there! I think if you love traveling the world, then Kenya is one of those Countries that should make the list. I’ve been to Maasai Mara more than once during the wildebeest migration and It’s a wonderful experience. The Lake Nakuru is awesome too with all the flamingos though I think they used to be more some years back. Now I would want to visit this majestic Laikipia Plateau. You make it sound cool. What other locations in Kenya would you recommend in addition to the above? I like the way you have done the review for this safari as it really looks quite enticing. It’s good that you have the map there where you show people where they will be going. You give a good explanation of what happens on the safari, what’s included with it, who can go and when is the best time to go. If I were on my own, I would consider such a trip as I think that I would be fit enough for it, but my wife definitely wouldn’t go, but still it looks like a good safari. Thanks for sharing your thoughts. I am glad that you found value in my review. There are many safaris available that are more suited for you and your wife. The activity level for those safaris is 1, and you mainly go on game drives, no sporting activities! 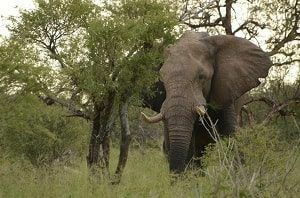 If you are interested in learning more about these safaris from REI Adventures, click here.